Casey Driessen jumped onto the national scene playing fiddle with Steve Earle before setting out to make his own mark on Nashville. Driessen is now on the forefront of the young hot pickers coming out of the acoustic scene there - comfortably taking his place among the next wave of extraordinary musicians in line with Jerry Douglas, Bela Fleck and Mark O'Connor. Like these luminaries, Driessen is poised to alter the sound of music as a uniquely distinguished instrumentalist with his solo album debut 3D! Driessen is the charismatic young fiddler making his presence known throughout major festivals across the country including Merlefest, Hardly Strictly Bluegrass and Telluride among others. 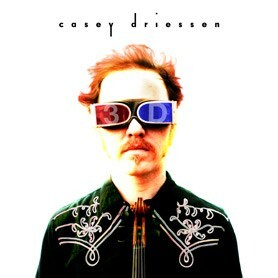 When one first glances at the cover of Casey Driessen's 3D, it's difficult to know what to expect. Driessen's red hair is brushed back, and he's wearing these funky 3D glasses with a "3" on one lens and a "D" on the other. From this info, one might be prepared for spacey electronic music or perhaps a surrealistic singer/songwriter. But the final clue at the bottom on the cover photo is the head of a fiddle, Driessen's instrument of choice, which may or may not lead one to guess 3D's dominant musical style: progressive instrumental Celtic music. Listeners have probably never heard "Sally in the Garden" arranged with drums, programming, and an electric sruti box, though the addition of Jerry Douglas' dobro, Tim O'Brien's bouzouki, and Driessen's fiddle add stable elements. It's as though the players started with a fairly traditional base of acoustic instruments and then inserted percussion, progressive material, and the occasional electronic element to spice things up. Even on more conservative -- instrumentally speaking -- tunes like Driessen's "The Confusion Before Dreams" proves quite compelling, and the vocal numbers, often a distraction on primarily instrumental albums, are fun. 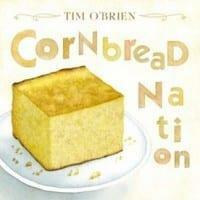 There's a funky take on "Sugarfoot Rag" with Driessen's ultra-cool vocal and Darrell Scott spunky guitar work. 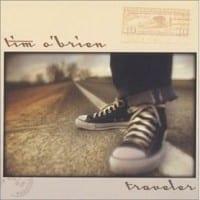 While a number of semi-progressive musicians like O'Brien have gotten lots of credit for pushing bluegrass and Celtic in new directions, the results (as with O'Brien's dual release in 2005) seem rather tepid compared to 3D. This is fun music that will probably offend a few traditionalists while letting everyone else know that the old music can grow in exciting and unpredictable ways.